One of the largest radio services in the world, TuneIn radio allows you to listen to thousands of global music stations categorized by artists, genre and more. Unlike other online radio services that don’t work all around the world, TuneIn Radio lets you listen to music no matter where you are. Sure there’s not many local stations, but I’m sure you can find something to your liking! 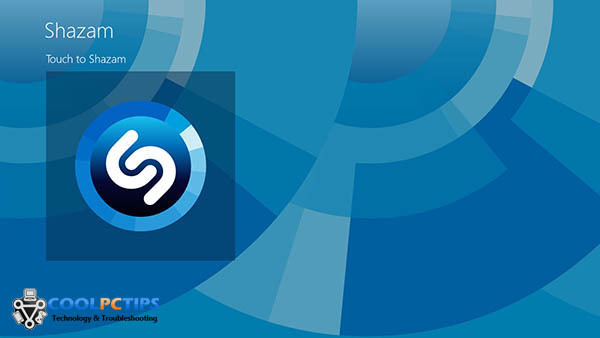 If you really like discovering new music, Shazam is the app for you. Simply record part of a song and it will search all major libraries including iTunes, Zune, YouTube, Spotify and more and display all information you need, including where you can buy the songs or album from. Pretty much all the info including biographies and music lyrics are mentioned as well if you like. The best part is, it works very well with Windows Phone 8 devices as well! 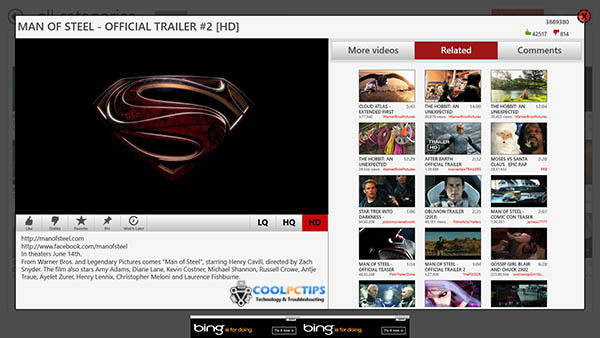 PrimeTube is one of the must have Windows 8 apps because it’s pretty much the best YouTube app right now. Though it’s not an official YouTube app, you really won’t be able to tell the difference. All YouTube videos including the most watched, trending, all playlists and user lists are available on the app and it’s very easy to use as well. It’s a fully featured, free app that you shouldn’t miss because hey, who doesn’t watch YouTube videos? 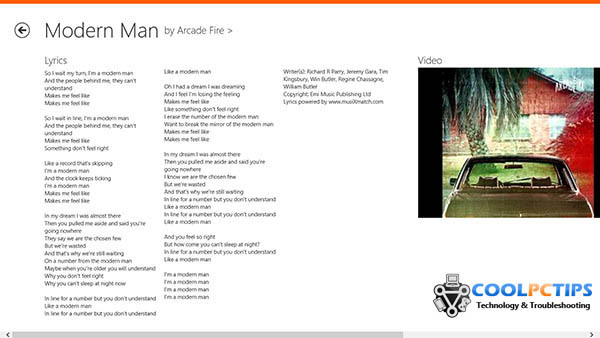 For those who love keeping their music library completely organized and love singing along, musiXmatch Lyrics gives you an easy way to find lyrics for any music you have on your PC. Simply point it to your music library and you can get lyrics for pretty much any song, as well as a video link. 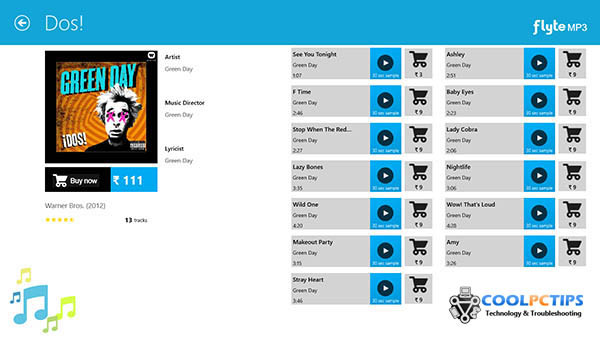 It’s quick, easy to use and even displays a list of top music. 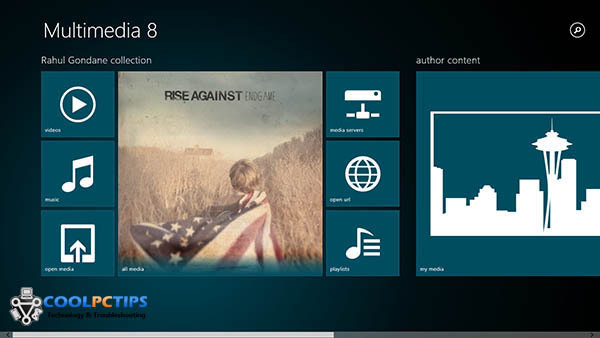 A free replacement for the Windows Media Center, Multimedia 8 lets you access and play all your media in one place. It’s a player as well as local streaming service that lets you stream music and movies to DLNA and Wi-Fi enabled televisions and mobile devices. Furthermore, you can also capture audio and video, convert videos and create playlists. It’s basically your one stop shop for all media. 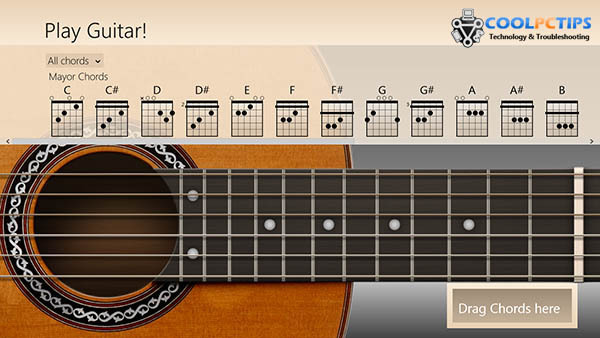 Guitarists rejoice, this app lets you play guitar virtually with full chord support! Best used on a touchscreen display, Play Guitar! is an excellent app that’s fun as well as functional. Flyte MP3 is an excellent app and service by Flipkart that lets you buy new music in MP3 format for extremely affordable prices. Though it hasn’t got the catalog of say, iTunes, there’s the affordable pricing to consider. You can also buy just a couple of songs from an album and if you can get a brand new Hindi movie soundtrack album for under Rs. 80, why not buy it legally instead of pirating it? All the four apps here are basically the same type, that let you stream Indian and some International music for free, without any signups. 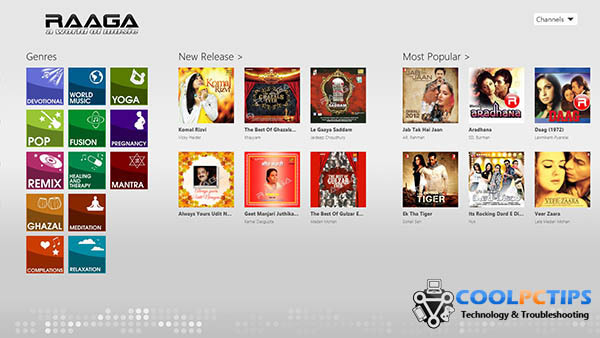 Some services have contracts with certain Hindi music services so you might find one movie’s music on Raaga but not on say, Gaana. Overall, these apps provide the same service, it’s up to you what sort of music you prefer. Raaga has a lot of oldies as well, Gaana has some International music too, Dhingana has most of Bollywood music and Hungama MyPlay lets you search for music based on moods, time and language. In fact, getting all four won’t really hurt! 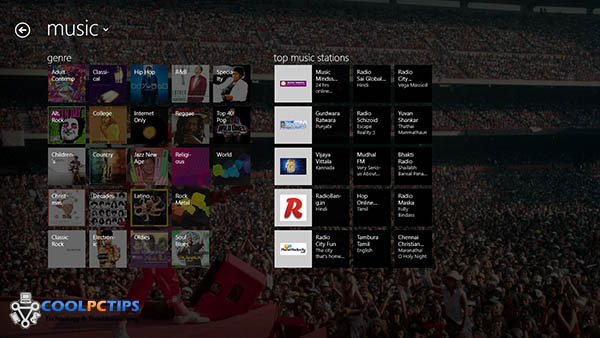 So those were our picks for the must have Windows 8 apps – music and multimedia. Stay tuned for more categories of apps and as always, comments, queries and suggestions are welcome!